We’ve made no secret of the fact that we love France Passion. Ever since we were introduced to the concept of staying overnight on private property, (with the permission of the owner), we have returned over and over again. Since 2012, we’ve stayed at some of the best locations in France. Across the years, we’ve stayed with winegrowers, sampling their latest bottles from a recent harvest, or, if we got to know them a little better, the corks would sometimes pop out of some of their better bottles. Need to know more about France Passion? Click here to read our detailed guide. We’ve sampled countless bottles of bubbles in the Champagne region, and the delightful reds of Bourgogne and Bordeaux. There have been Chablis, Pinot Noirs and so many others that I now can’t recall. What I do remember, vividly, are the experiences we had there. We’ve tasted apples picked directly from the trees, berries too. There have been lakes, rivers, forests and absolute serenity in locations many visitors to France would never know about. We’ve patted calves, held baby goats, and fed donkeys, cows, horses and sheep along the way. Then there are the views. Perched high on hilltops, watching the sun set over vineyards, the glow beautiful to watch as we sip our wine or eat our cheese. Snow-capped alps, crystal clear streams and flowing rivers have also been part of the natural landscapes of our overnight stopovers. Wherever we have been, it’s largely been the owners we’ve met along the way that have added that special touch to our stay. We’ve had a farmer taking us for a personal tour through his raspberry farm, competing with us as to who can eat the most. A farm-hand at a goat farm, upon seeing me gazing at the animals, urged me to come inside the barn to see all the little ones. Before I knew it, he had thrust a kid into my arms. I remember them all. Sitting around a wine barrel in the basement of a chateau doing a private wine tasting, buying fresh produce from the farms, or helping to teach a young child to speak English, whilst his mother and I talk through Google Translate. I may, over time, forget the name of the small village we’ve stopped overnight in but I will never forget the faces, the smiles and the conversations. I’ll almost certainly never forget eating their delicious, home-grown produce. 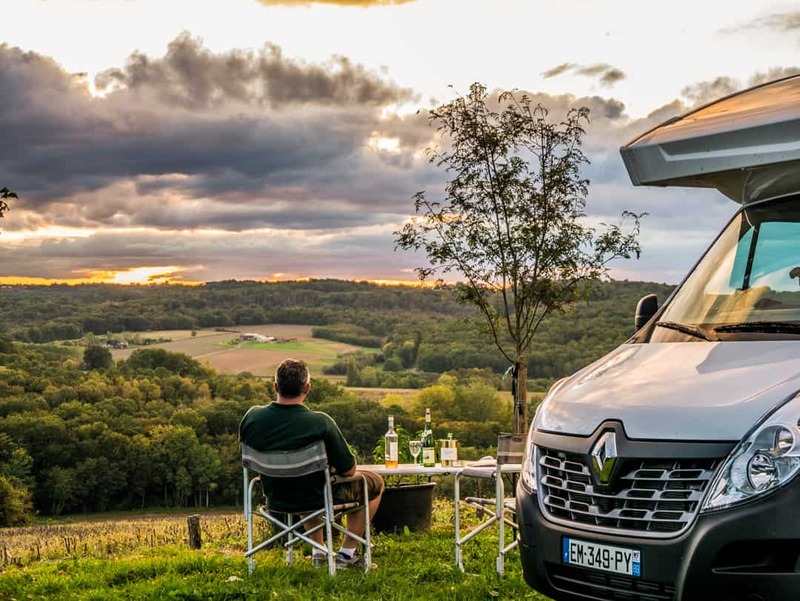 Here are some of the best France Passion campsites from our journey through the south-west of France. It’s important to check the latest version of France Passion as some locations don’t always continue their participation. These, however, give you a great example and understanding of the types of places you too can find. With an old mill providing a great centrepiece for a sunset photo, the area set aside for motorhomes at Domaine le Vieux Moulin is generous. This is a working asparagus, legumes and peach farm. It also produces cognac and some very nice wines. With a shop and cellar door, the owners (members of France Passion since 2010) love you trying to chat with them in French as you sample their vino. Often unusual for France Passion sites, they offer water and waste facilities. Love duck? We sure do. In Cocumont, we stayed with Laure and Benoît Menville at Ferme Gassiot, a duck farm with beautiful views over the hills and vineyards. These hosts must love France Passion as they have been opening the doors to their farm since 2009. This is a small area, with five spots for motorhomes nestled in amongst the fruit trees. The best part about this location is the shop. They have so much of their duck on sale here from breasts, vacuum-sealed for freshness, to foie gras, rillettes, sweetbreads and other parts of the duck. Everything gets used here. We bought our dinner for a few nights from here. Duck galore! Another long-standing France Passion host is Philippe Vérax and Thierry Simon who run the Chateau Lacapelle Cabanac. The road into the property brings you face to face with the 17th-century chateau they have owned since 2001. Here, they operate a sprawling biodynamic vineyard and offer up one special spot for motorhomes on a nightly basis. This location was incredibly private, well away from the main chateau and with no-one and nothing in sight. Following a fun tasting in the cellar room, we picked up a couple of bottles of red and took them back to our secluded spot amongst the vineyards to watch a glorious sunset. We seemed to really strike it lucky in this region of south-west France, with so many France Passion spots that we had on our own in glorious surroundings. Alongside the Lac de Paraloup, newcomers to France Passion run a cattle farm. Down at the end of a long road (it was a bit tricky to find this location), we found ourselves on the edge of a large lake, with nothing but the water and trees as our neighbours for the evening. 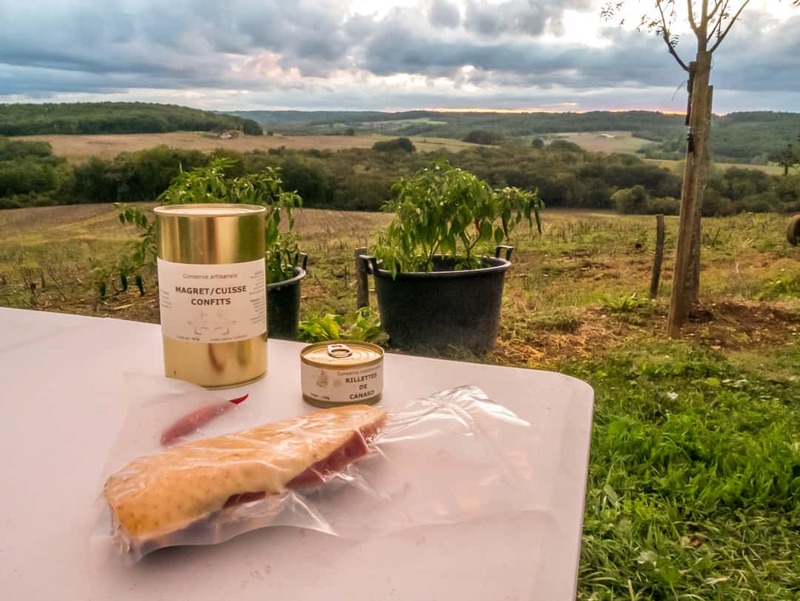 With a view of rolling hills and the hill-top city of Saint-Flour on the hill in front, we bunkered down for a night at a sheep and goat farm. Unfortunately, this one is no longer in operation as part of France Passion but shows yet another great example of the kinds of places you can stay. We also bought a feast of sheep and goats’ cheese here. For the best Charolais (white cow) products in the area, staying with the Famille Farjaud is a must. 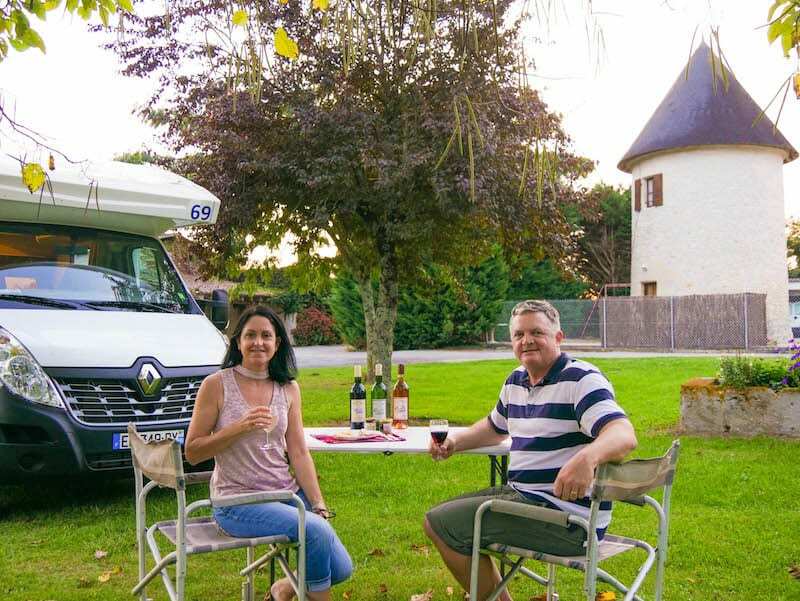 Involved with France Passion since 2004, they are friendly and welcoming to those who spend their days traversing the country in a motorhome. Their on-site shop has all of their own products and many that are made by locals as well. The owners love to have a chat and are more than happy to have you stroll around their farm. Five spots are available here. It seems we make a habit of staying at vineyards. Sometimes, the area dictates this and well, we are in France. At Domaine de l’Epineau, we got to chat with the owner’s mother, in very broken French. The good thing about wine tasting though is that it is a universal language, so we managed to get by. 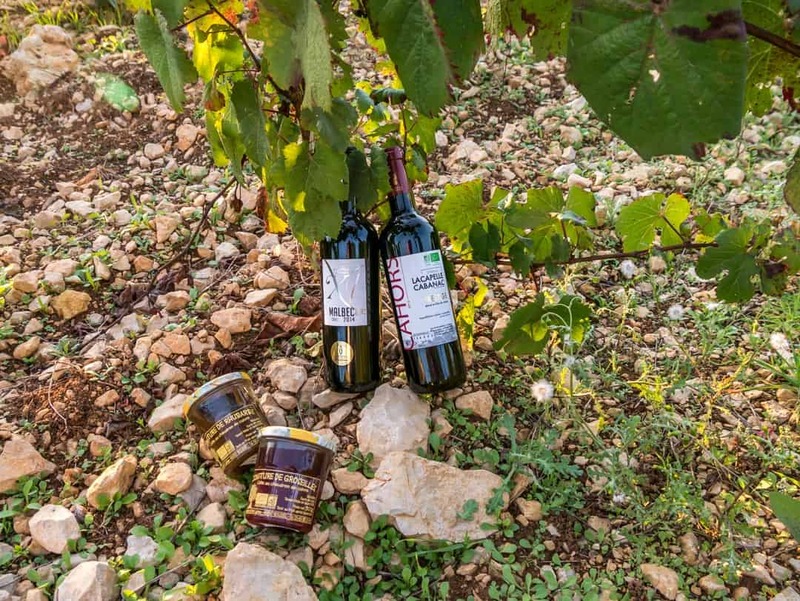 We always find that the hosts are more than willing to have you taste their wines and of course are delighted when you buy one of their products. Whilst this isn’t obligatory, we never find they have to twist our arm to get us to buy something. After all, this is one of the best things about France Passion and why we choose to use it. Getting close to the locals and being able to chat with them and learn from them is a special benefit of this scheme. There are five spots available for motorhomes in this location. 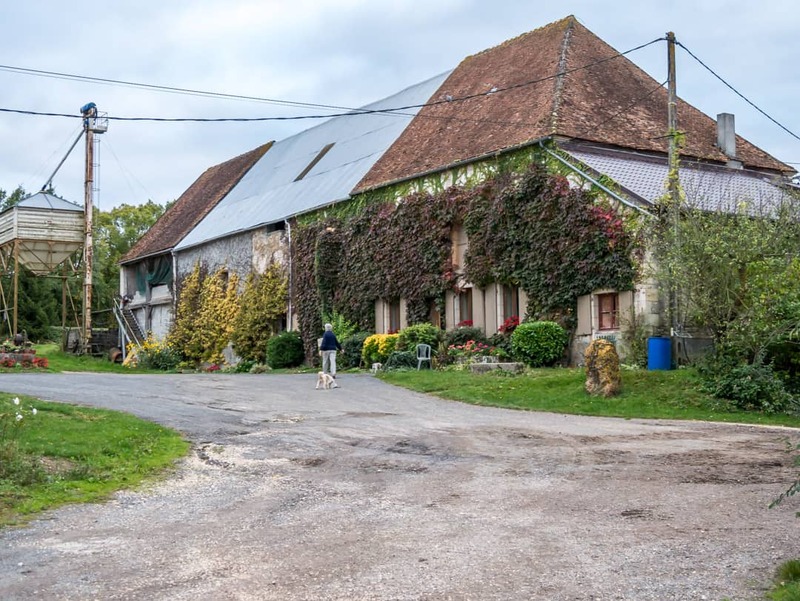 In the Loire, we spent a quiet evening on the farm of Hervé Lutton at Ferme du Murget. Raspberries, apples, asparagus, pumpkins and tomatoes are grown here and are all available, when in season, at their shop. 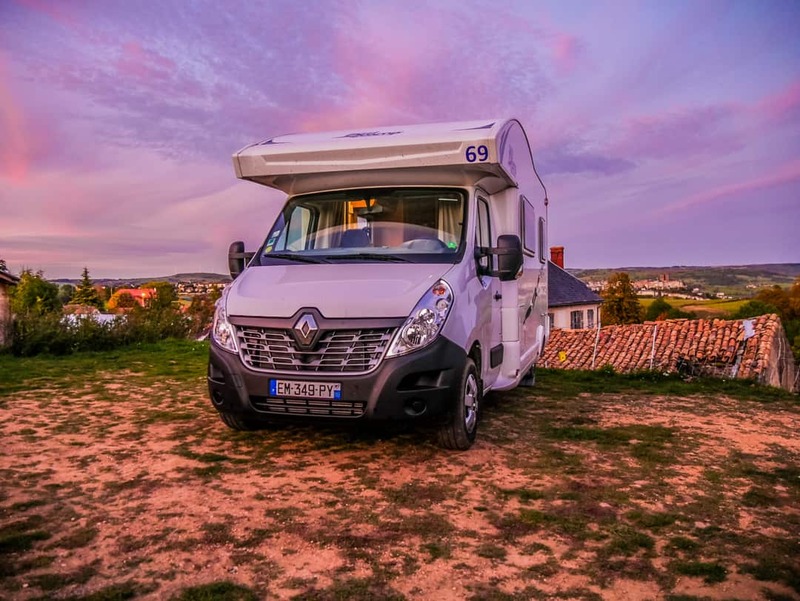 The France Passion network is perfect for travellers looking for free motorhome sites in France. I like to think of it as wild camping in France, such is the freedom to be able to choose where you stay. Using the France passion internet site and the book and map, you can plot your travels all over France, choosing locations that suit your itinerary and the things you love. If you are looking to save money, staying at these free motorhome stopovers is perfect. As I’ve always said, we like to give back to the locals, so we will buy fresh produce or wine wherever we stay, but there is no obligation to do so. 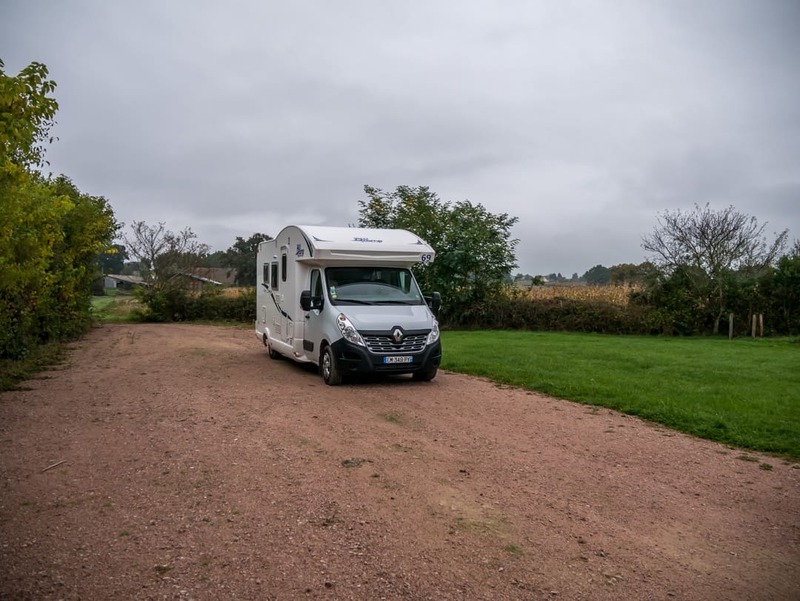 Alternatively, if you are looking for cheap or free stopovers for motorhomes that also have services, try the Aires de Service. They aren’t often in fantastic locations but are built specifically for the services that motorhomes need. Tip: Be sure to have the France Passion Guide 2019 to ensure that all of the participants have agreed to be part of the current season. This is why I never share specific addresses.